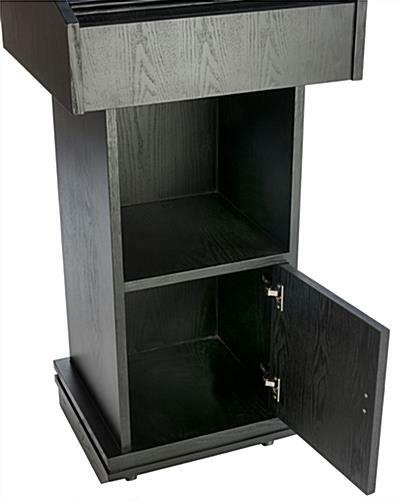 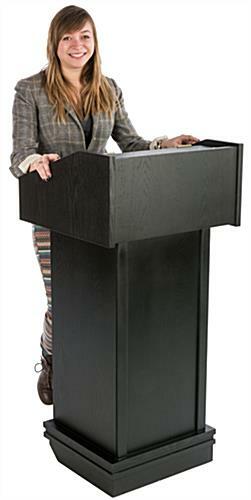 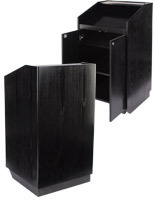 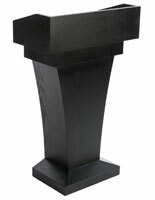 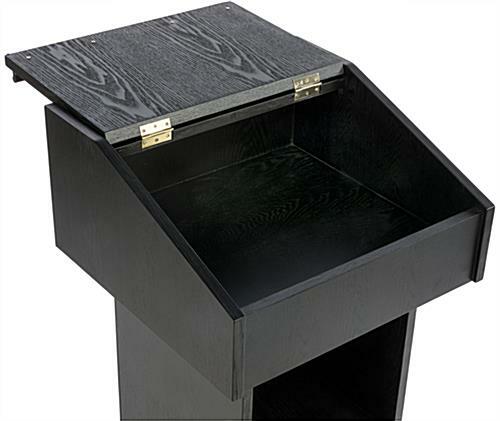 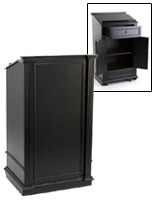 This wheeled lectern with enclosed storage is made from durable MDF with a real wood veneer and elegant black finish. 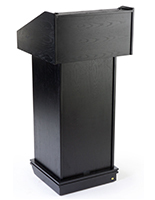 The modern wooden display podium offers a variety of storage options, making it a perfect choice for use in restaurants, schools, churches and as a meeting accessory. 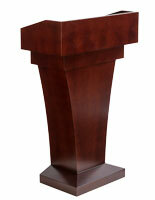 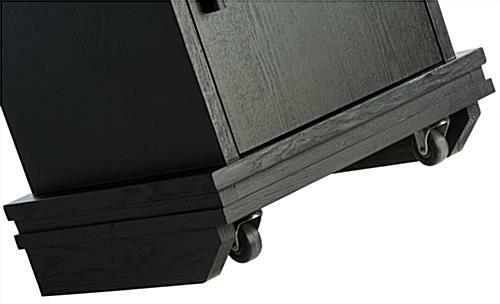 The rolling lectern with enclosed storage has two sturdy caster wheels hidden in the base. 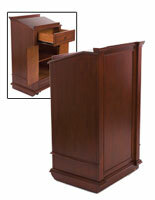 A hinged reading surface, open shelf and base cabinet are ideal for storing equipment, supplies or accessories. 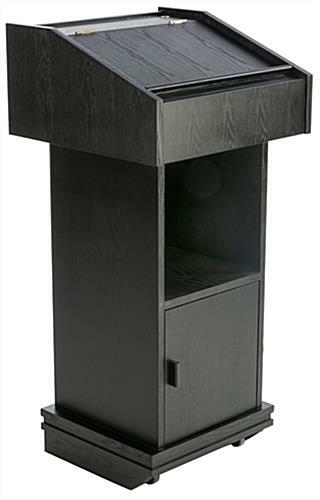 The versatile host lectern with enclosed storage functions equally well as a hostess station, lecture stand or speakers platform. 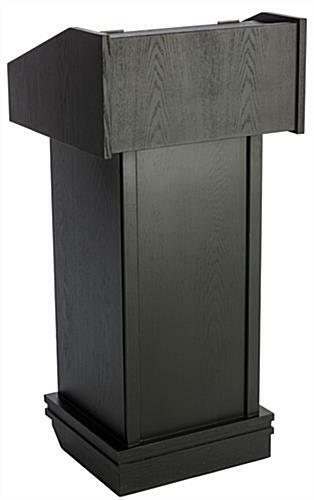 Each modern podium's wood-look construction and enclosed storage space make this easily moved restaurant or business fixture an economical choice for any environment. 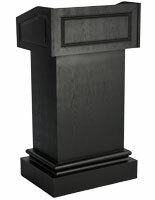 22.5" x 47.3" x 21.8"
14.3" x 14.8" x 15.0"
14.3" x 14.8" x 14.5"
19.0" x 5.0" x 17.4"